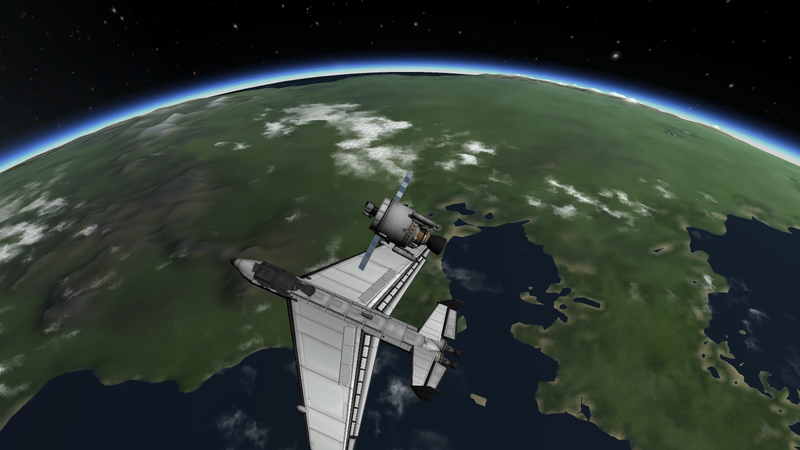 A mod spaceplane Ciconia. 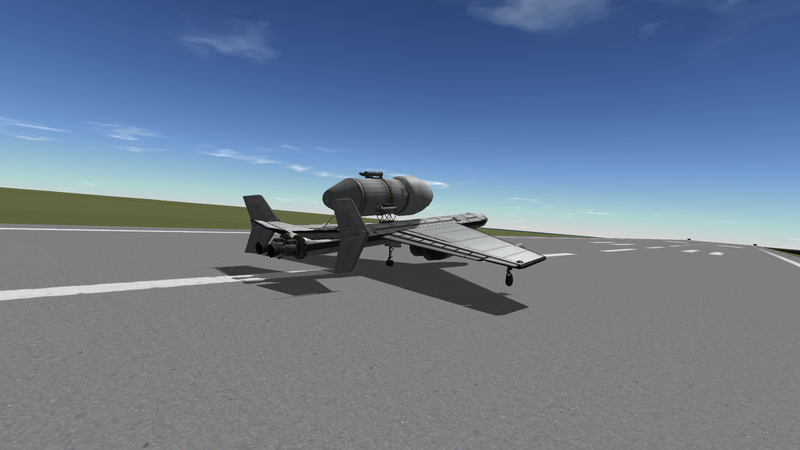 Built with 66 parts in the SPH in KSP version 1.2.2. Requires FAR! Atmosphere Autopilot highly recommended for its Fly-by-Wire feature. 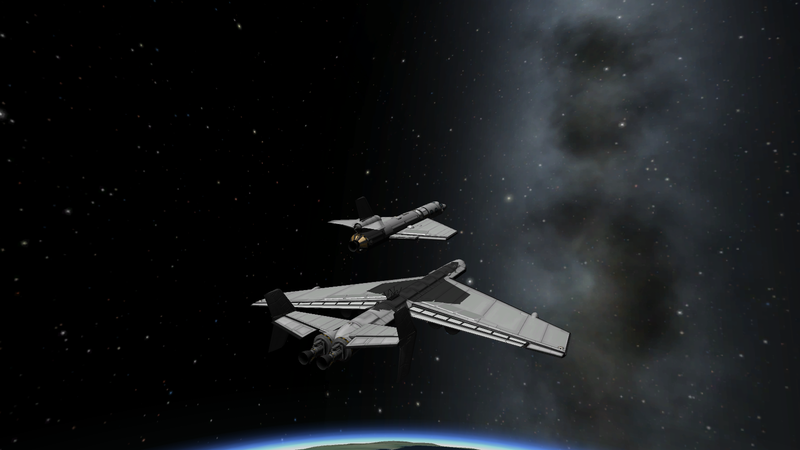 This is med-tech SSTO with 13-15 ton to LKO lifting capability utilizing piggyback cargo arrangement. Actual payload mass depends on payload aerodynamic characteristics. Spaceplane is unmanned, you might need to use ‘control from here’ of Clamp-o-tron Jr. port in front service bay. 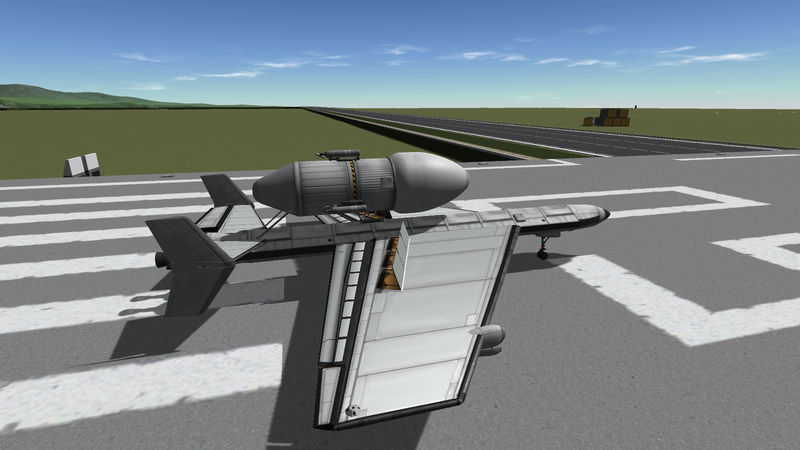 .craft file does not contain payload; for proper payload attachment save the spaceplane as subassembly and attach it to payload using radial decoupler and struts. 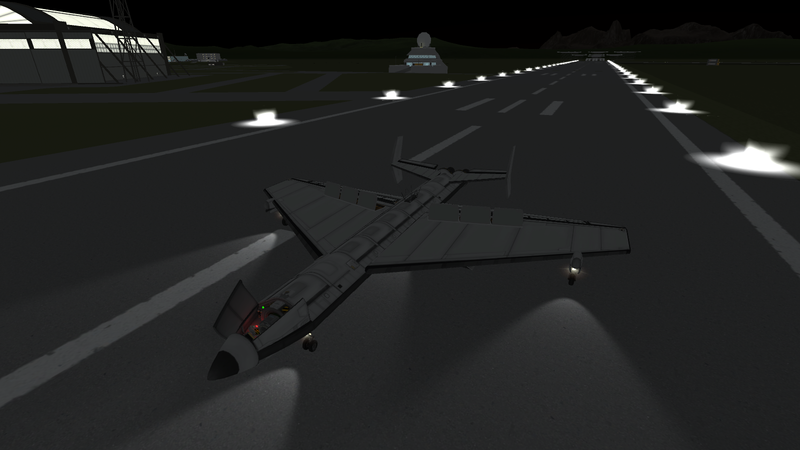 When everything is set, change root back to carrier spaceplane and check the staging. The craft is designed during career game with low to med tech available, so it does not have custom action groups assigned. Abort action group is linked to afterburning turbojet engine mode. Recommended periapsis for entring the atmosphere is 30 km. 2. Before entering atmosphere, set AoA to 40-50 deg. 3. Engage Fly-by-Wire, turn off moderation. 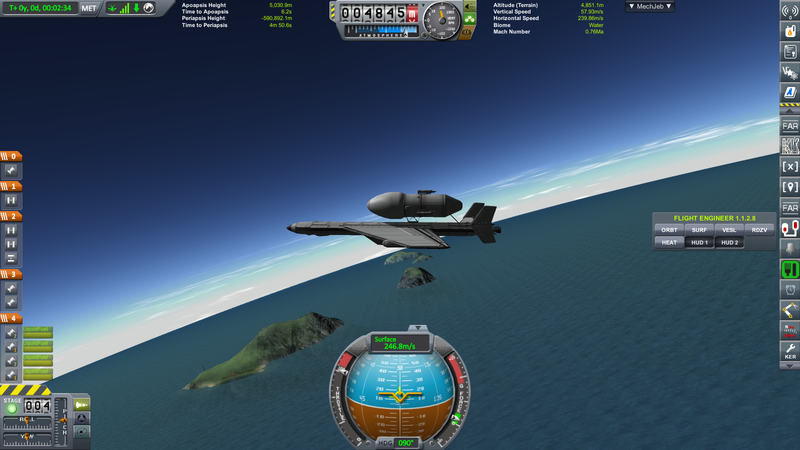 Minimum control speed is 90 m/s. 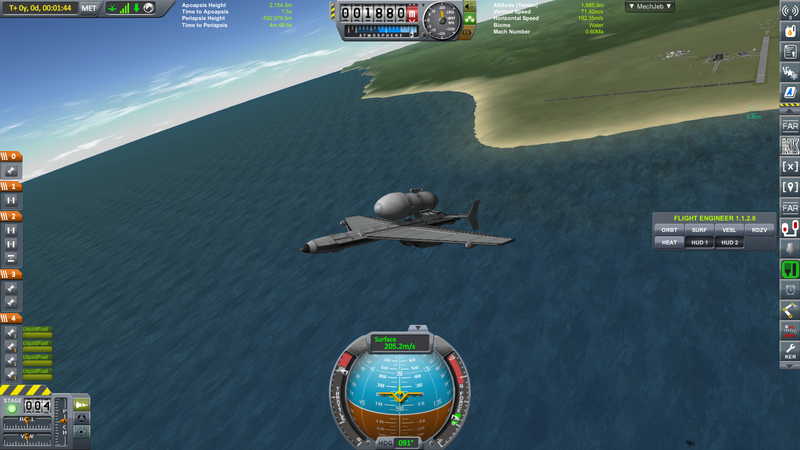 Recommended landing speed is 100 m/s. Set flaps to position 2. NavUtilities highly recommended for landing aid.